We love notebooking so we are grateful for a chance to look through and review the Lifetime Membership from NotebookingPages.com. Notebooking is a personalized way to create notes using outlines, creative writing and illustrations to remember lessons. The students are not confined to answering worksheets but instead, they can freely express their learnings through different mediums like charts, drawings, journal, essays and many others! This helps the student remember important details about what they are learning and help them create a portfolio project about the subject matter. It is a skill that they can learn while they are young and may find useful as they grow older. In our homeschool, we use notebooking in the following subjects: world history, social studies and science. For my 9 year old son, he just uses notebooks that can be bought from bookstores and for my 12 year old daughter, she uses loose leaf of papers. 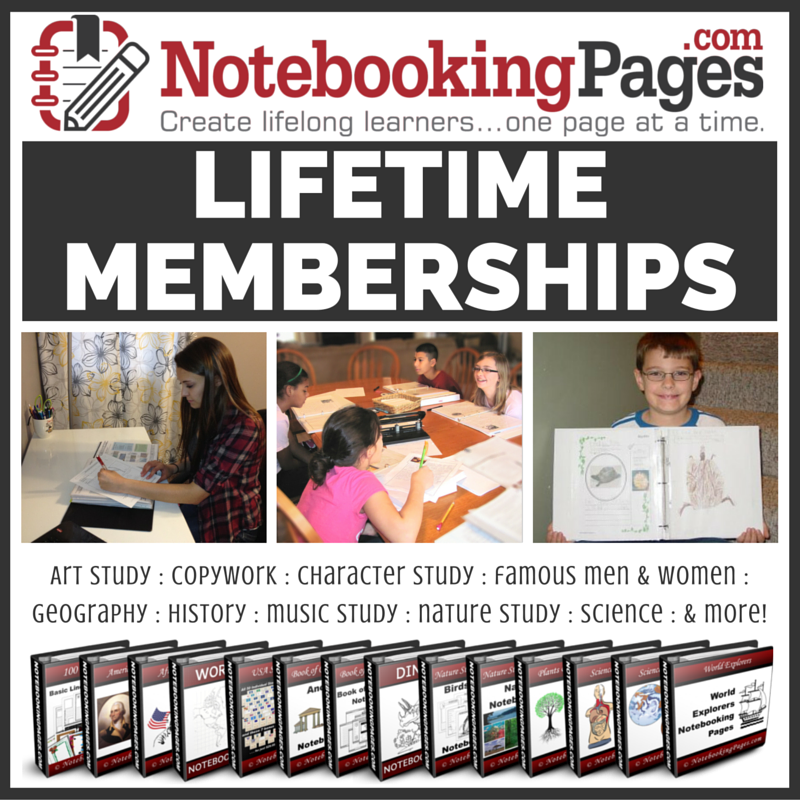 Lifetime Membership is a vast collection of 1000+ sheets of printable and ready to be downloaded notebooking pages. The pages are created by Debra Reed who herself is a homeschool mom. She has 10 children and has been homeschooling since year 2000. Under each topic, there are several files for your student to explore. This came from the Bible & Character Study section. My son used the notebooking page to show how we was able to practice the character trait of perseverance. This came from the free resource center, a quiet time journal page. My son used this to write his Bible study and prayer for the day. My daughter was learning about Latin words and as we found this Latin Root Word Study page, she was able to organize and write down the different words she was learning and their English derivatives. Our family loves to study history together, as we read through our history book, sometimes, it can be hard to take notes. We loved the history section as we saw how vast the collection was. The topic was divided into ancient times, middle ages, renaissance & reformation and modern times. It even has a timeline & blank notebooking page. As we were studying about William Shakespeare, we used that file. We loved how simple the file looked and how my children can tweak it to personalize their notes. We are using a MacBook computer and have installed Adobe Reader to be able to read and print the files. The files are actually editable too. So if your student wants to type in their thoughts instead of writing them down, they will be able to do that and save their work. This is what my daughter did as she used the character study notebooking page. Under the Science/Nature category there is a Anatomy Notebooking topic. It includes the Senses file. My daughter was studying about the different senses and found this very useful for her study. You have the option to download the file as a single PDF separately or according to category as a PDF file or just as a single ZIP file. For the Lifetime Membership, you not only gain lifetime access to all these notebooking pages, you can also access the notebooking publisher web-app for one year where you can create customized notebooking pages. I love this product! I definitely think this is worth purchasing as you will be able to use all the notebooking pages for the entirety of your homeschooling years since the files can be used from K-12. It also fits our family’s learning style as we do notebooking and portfolio projects all year round. Read what other crew members think of this product!